Here you will find what the media said about the city walks of Walking Macedonia. 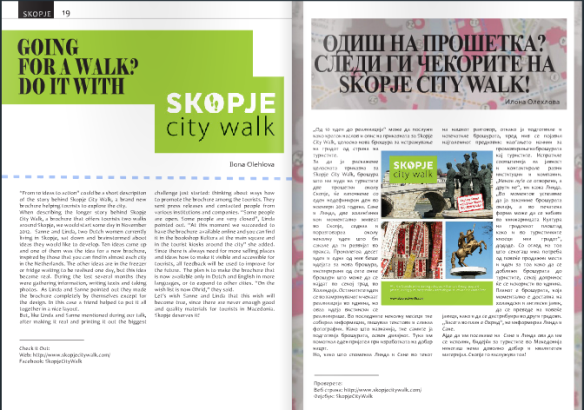 Skopje City Walk was featured in the monthly newsletter of the International Women’s Association. The national newspaper Nova Makedonija wrote an article about Skopje City Walk, speaking about our reasons for publishing it, and our plans for the future. The monthly magazine Voices, written by and for volunteers, interviewed us for their (digital) magazine. A columnist of the national newspaper Nova Makedonija wrote a column about the Skopje City Walk, in which he speaks about his experiences with the city walks. 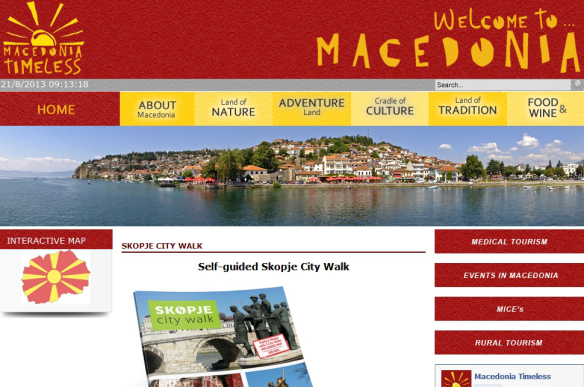 A lot of Macedonian websites picked up the news about Skopje City Walk. The Dutch website Alles over Macedonië wrote a nice article about the city walk, the Dutch website Reisgraag.nl wrote a news article about the digital version of the city walk and the dutch magazine Op Lemen Voeten also wrote about the ‘first city walking guide of Macedonia’. Skopje City Walk is from now on a suggested tour on the website of Macedonia Timeless, well-known for a series of beautiful short clips about Macedonia. Buy a digital version of the Skopje City Walk and/or Ohrid City Walk (EN/NL) in our online store.